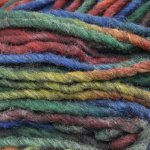 At 132 yards in 8 ounces of yarn, this yarn is the Fastest in the West. 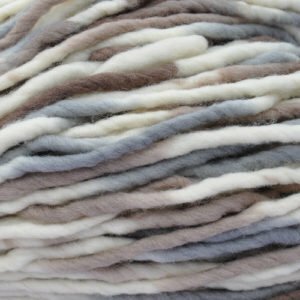 Burly Spun can be knit, crocheted, or woven with–it’s also great for needle felting. If you want a quick gift that can be made up in an evening, reach for Burly Spun. Spun from 100% USA wool, dyed into 31 solid colors and 8 hand painted colors, this yarn is for anyone who wants instant gratification and total satisfaction.